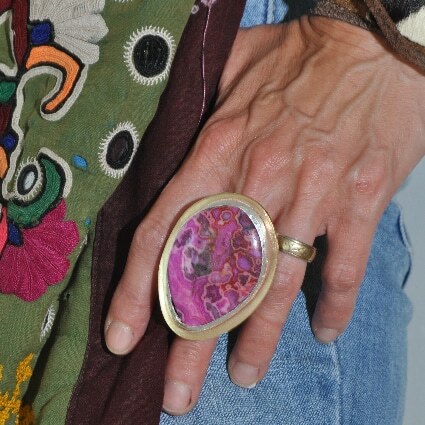 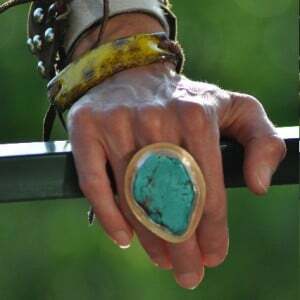 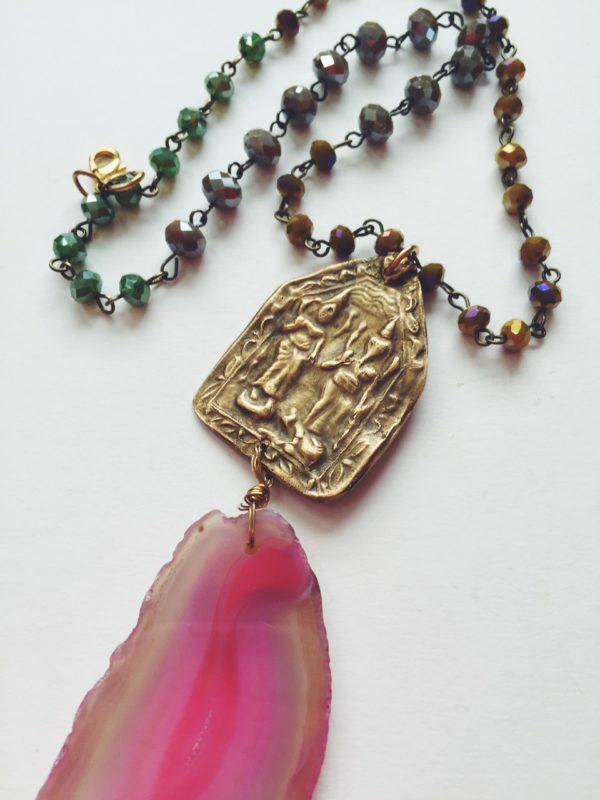 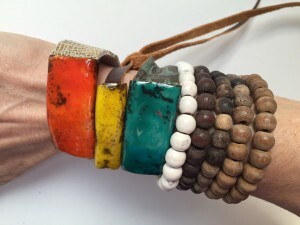 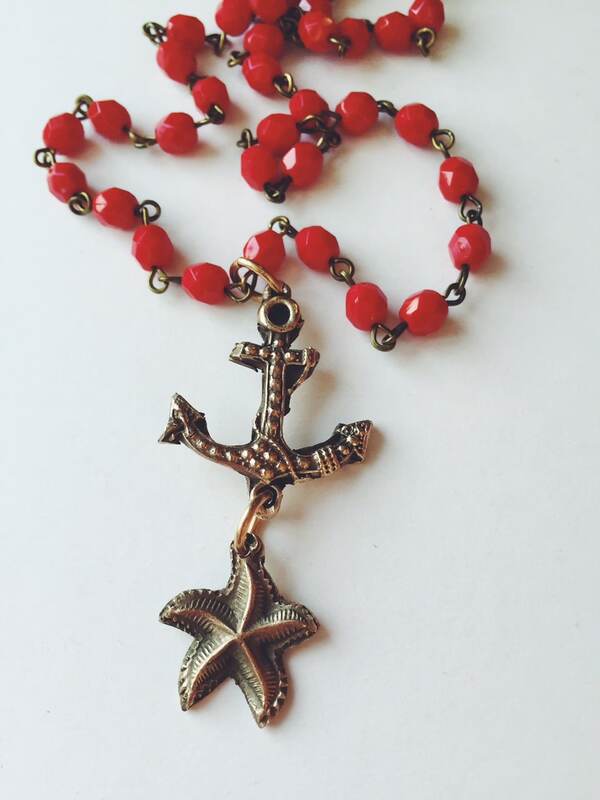 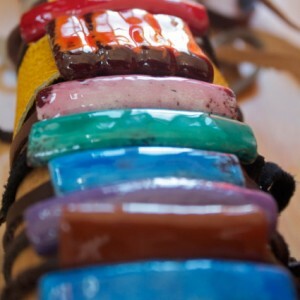 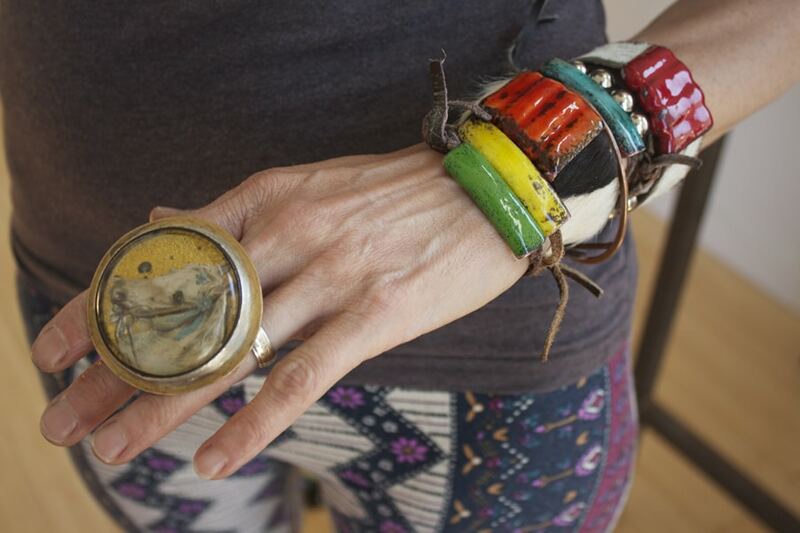 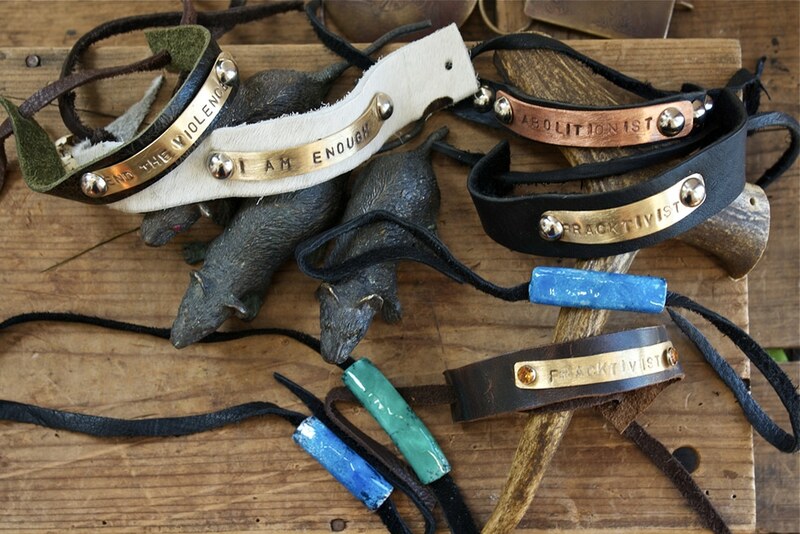 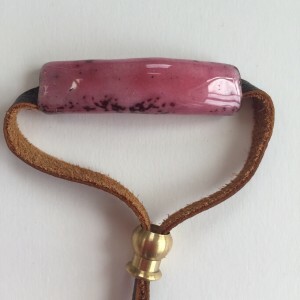 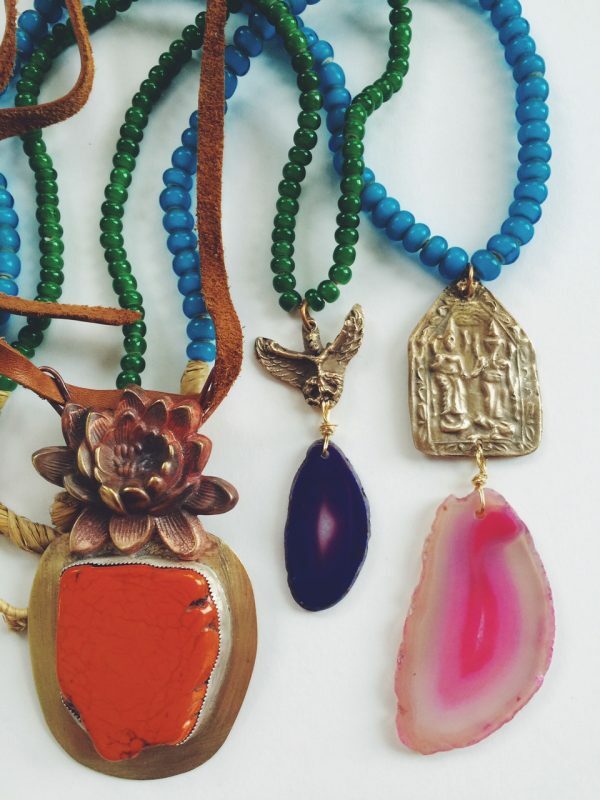 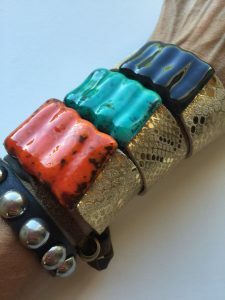 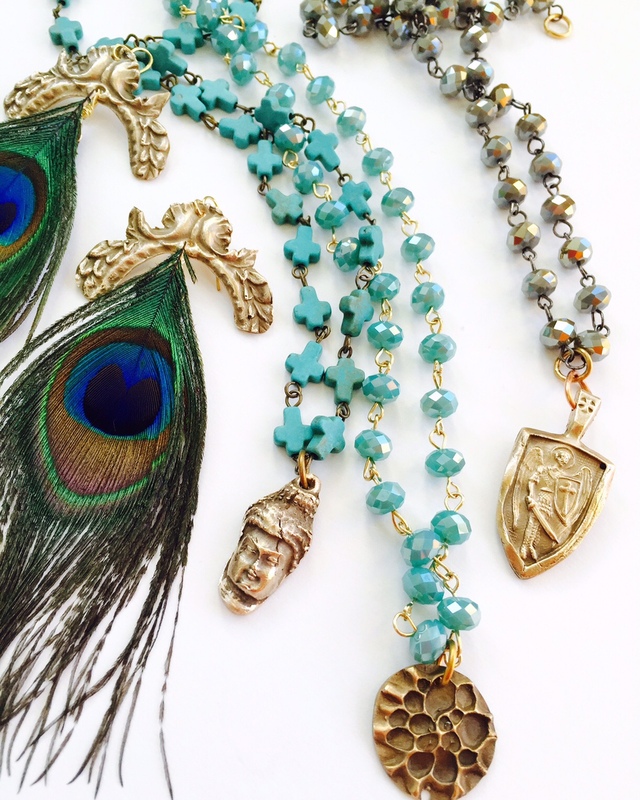 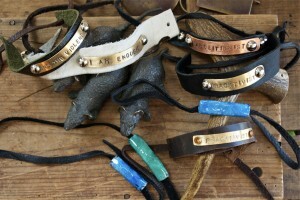 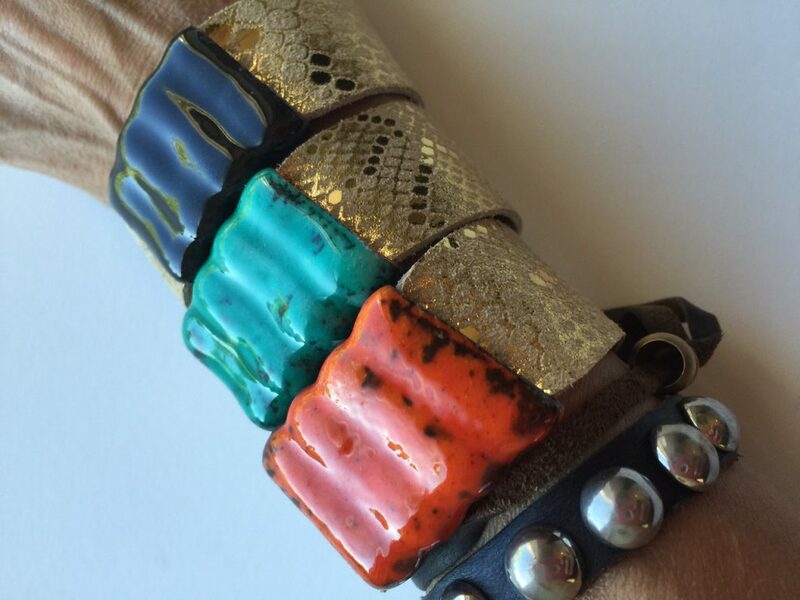 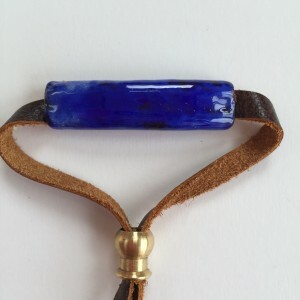 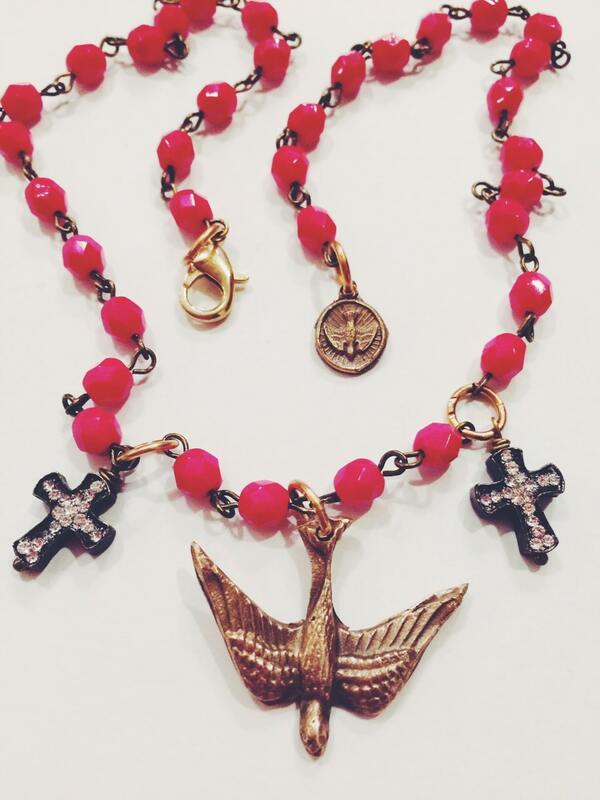 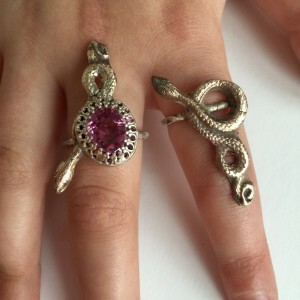 Michelle DaRin Jewelry is best described as bohemian, bold, edgy, eccelectic style, think Pocahontas goes to Burning man. 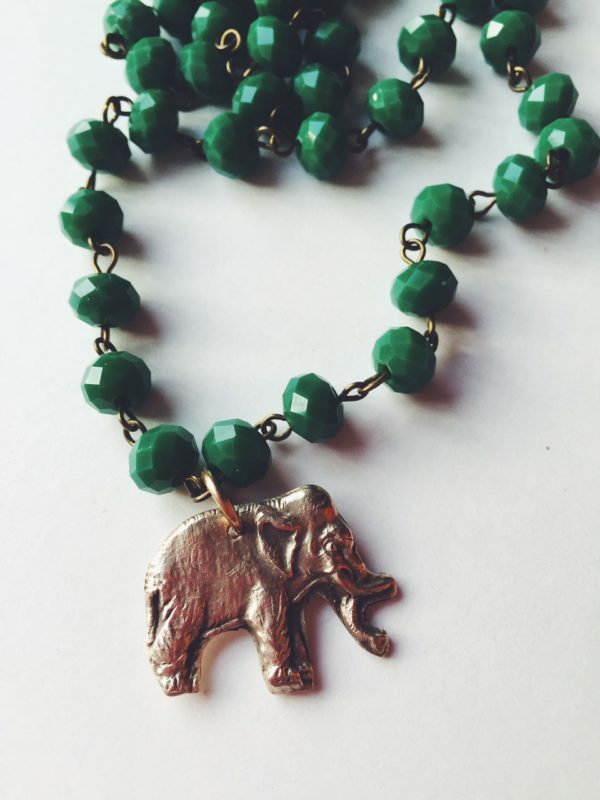 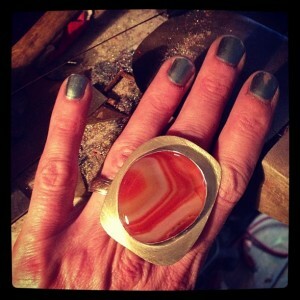 Michelle DaRin’s designs are inspired by her love of color and nature. 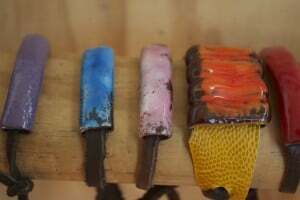 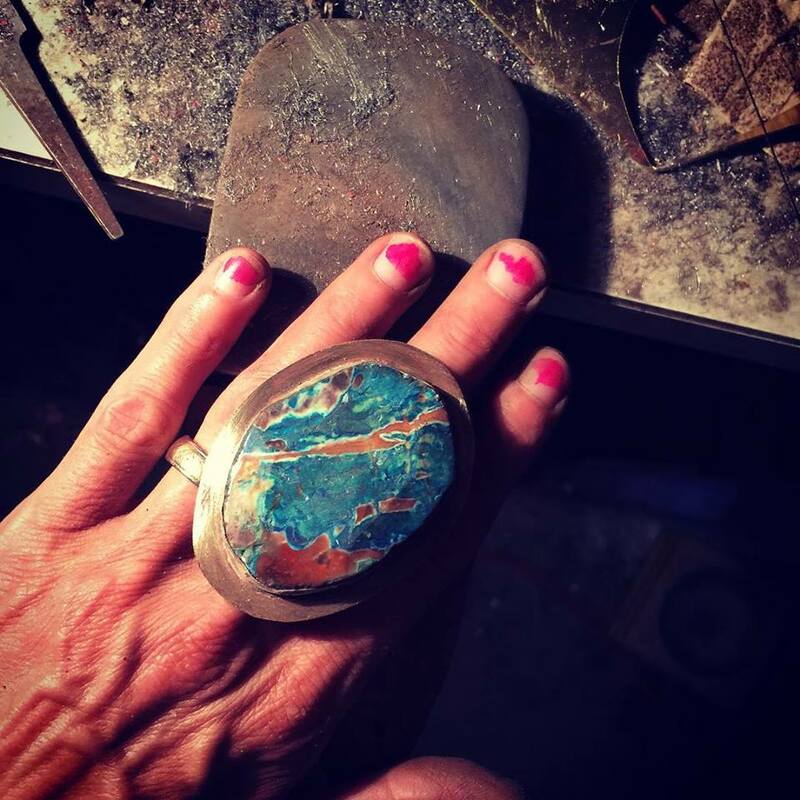 She uses a variety of materials including forged and enameled copper, caste silver, resin, bronze, feathers, leather and gem stones. 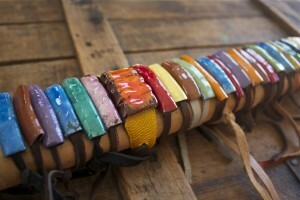 Michelle received her BA in Sculpture from SUNY Cortland. 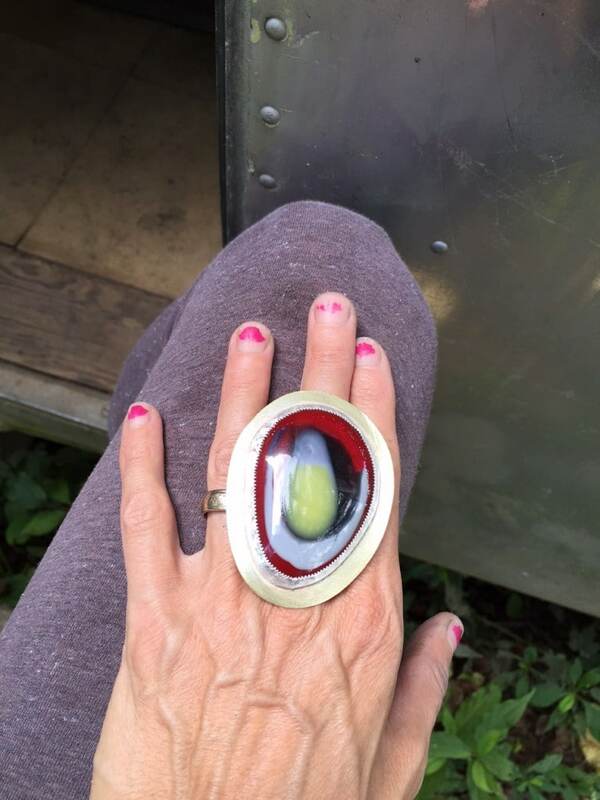 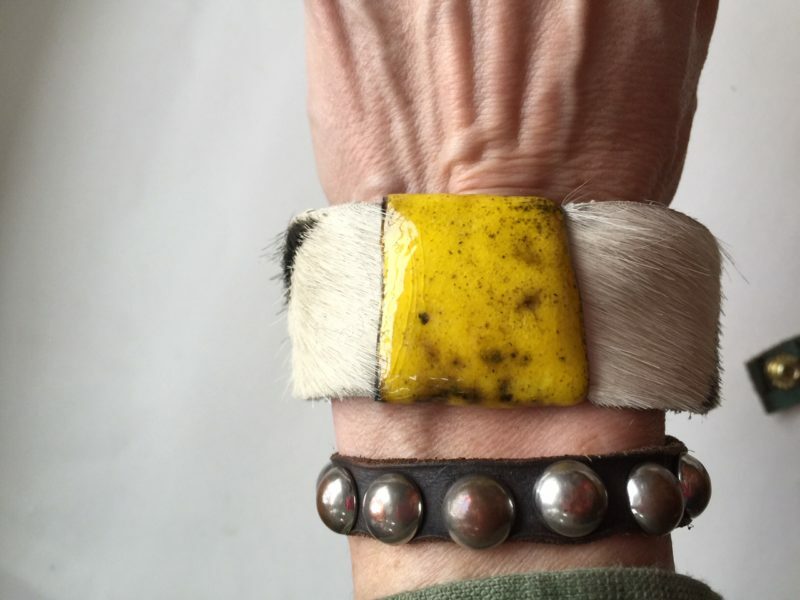 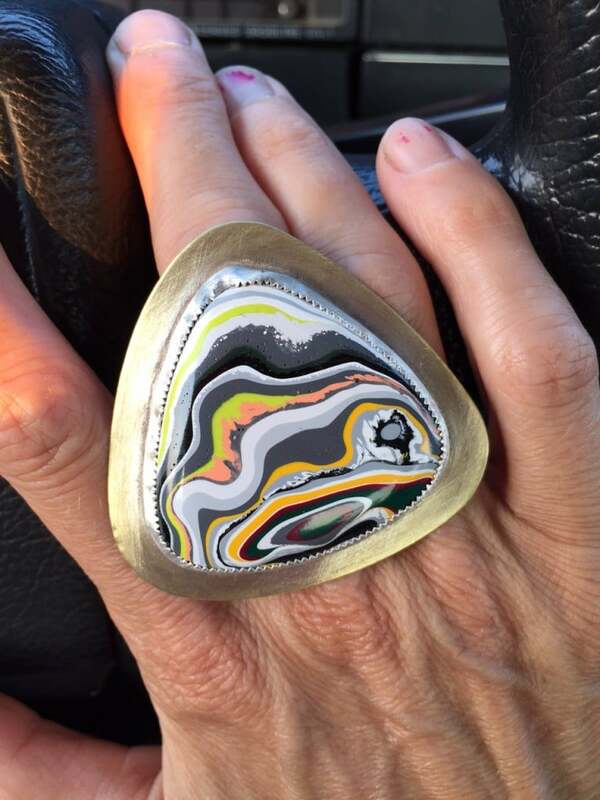 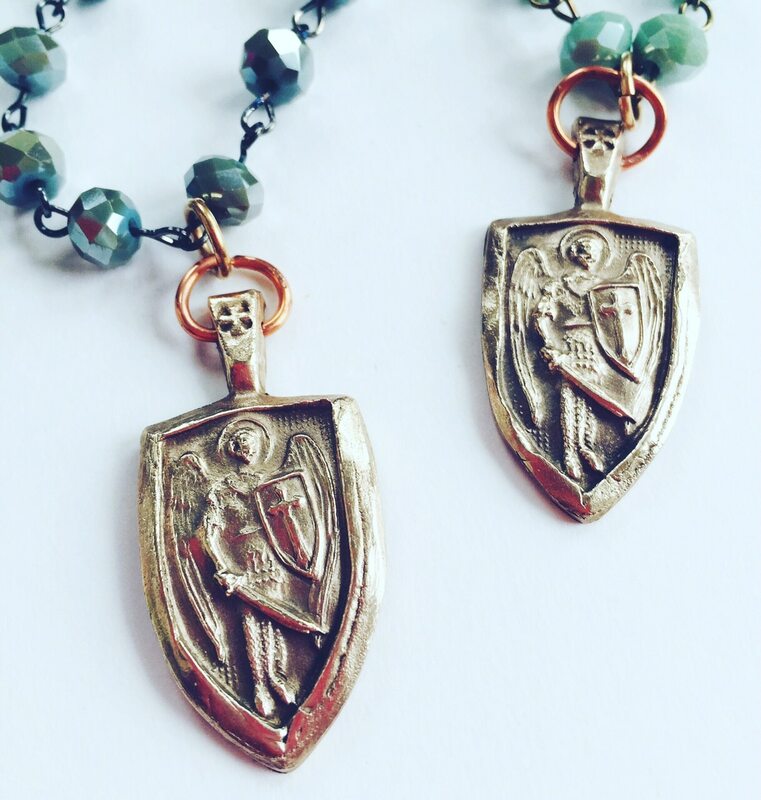 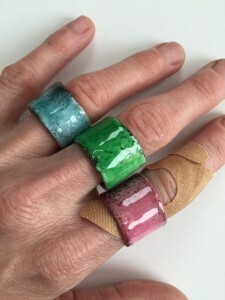 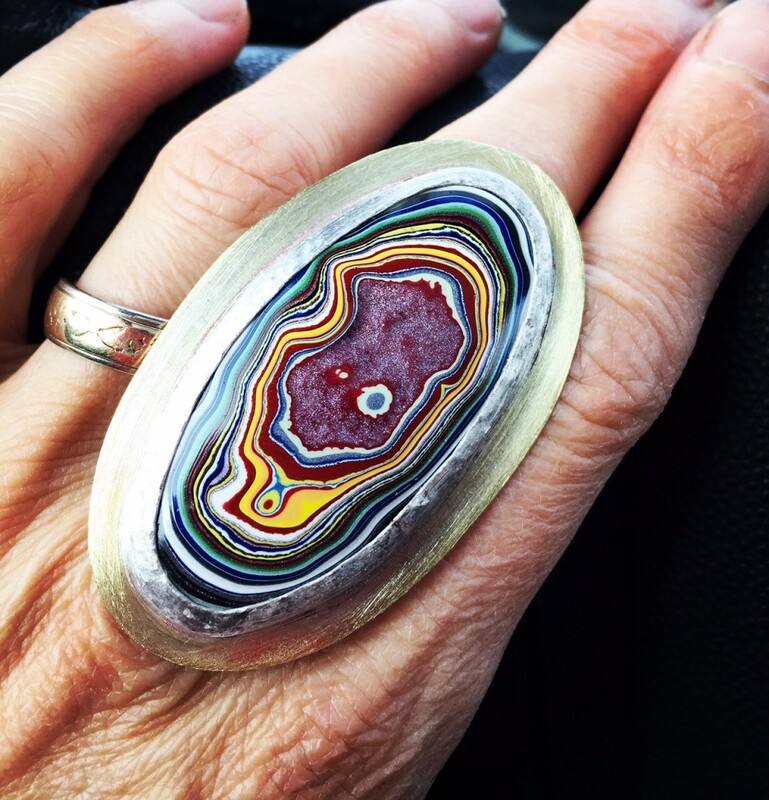 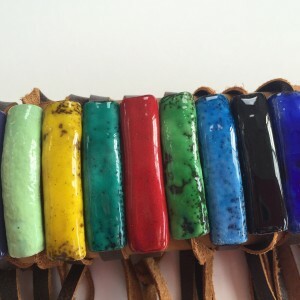 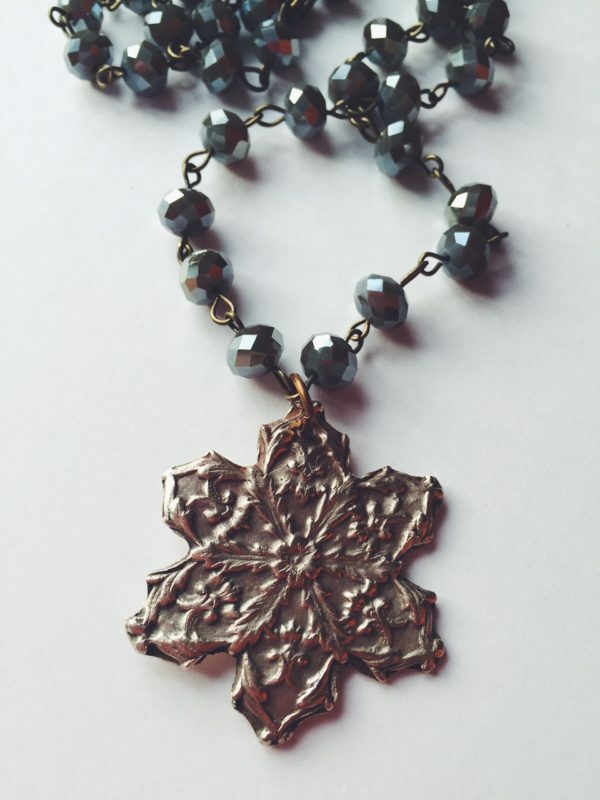 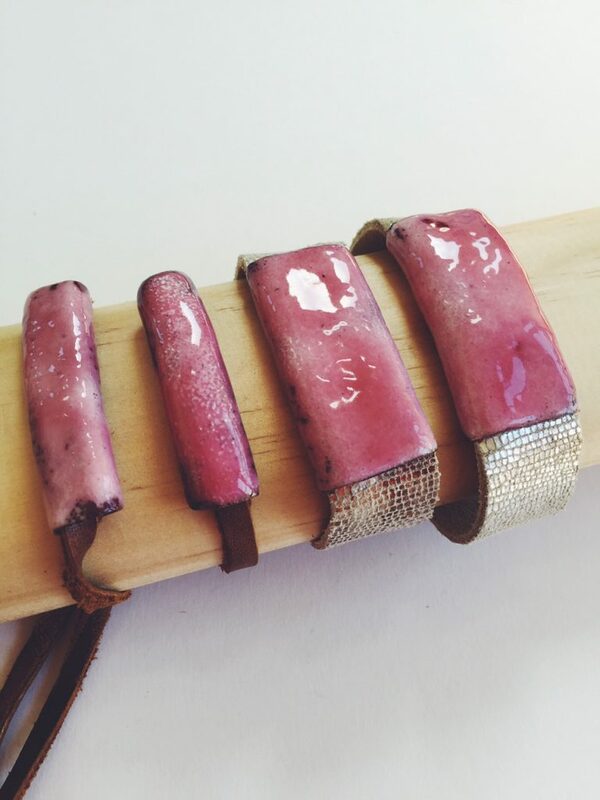 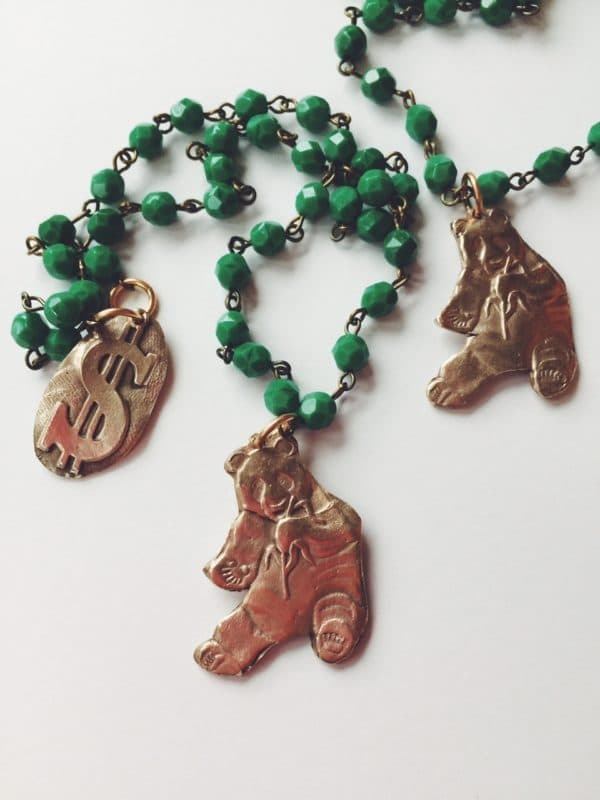 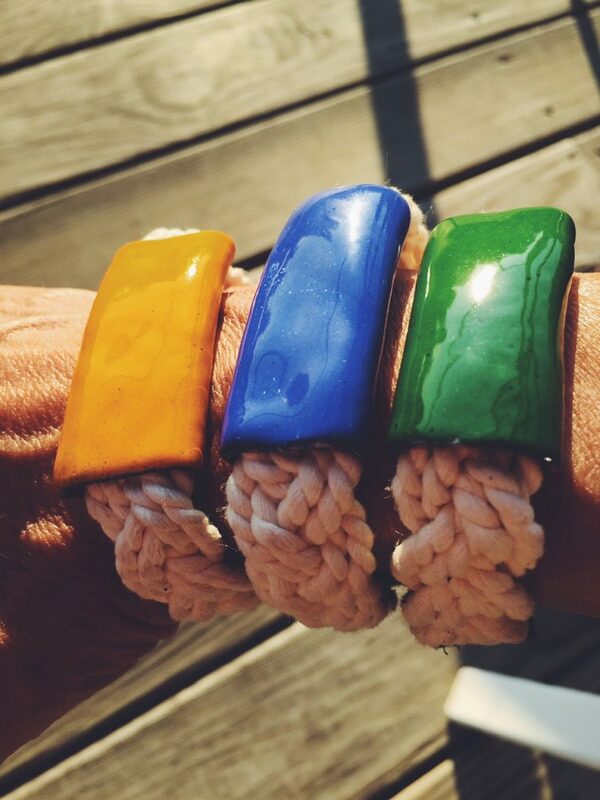 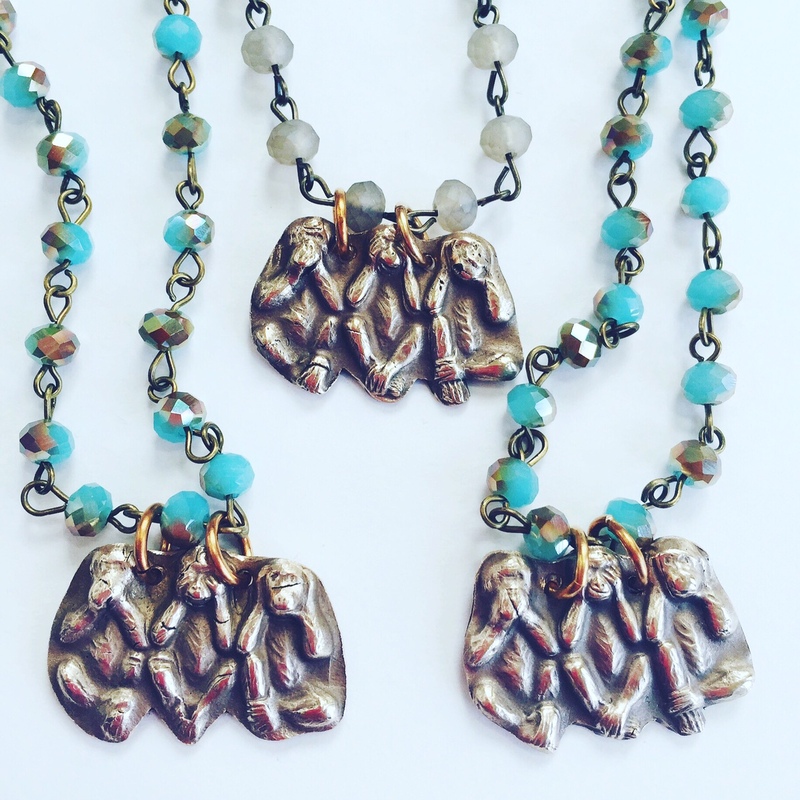 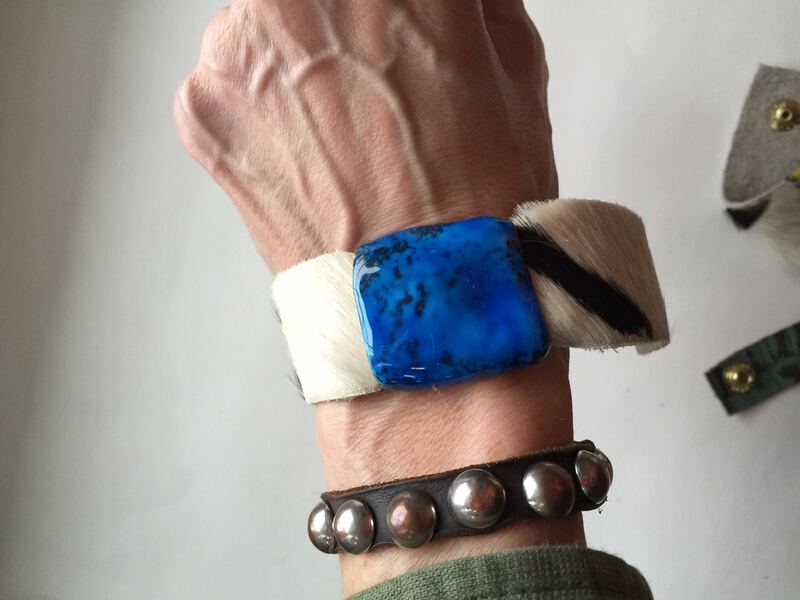 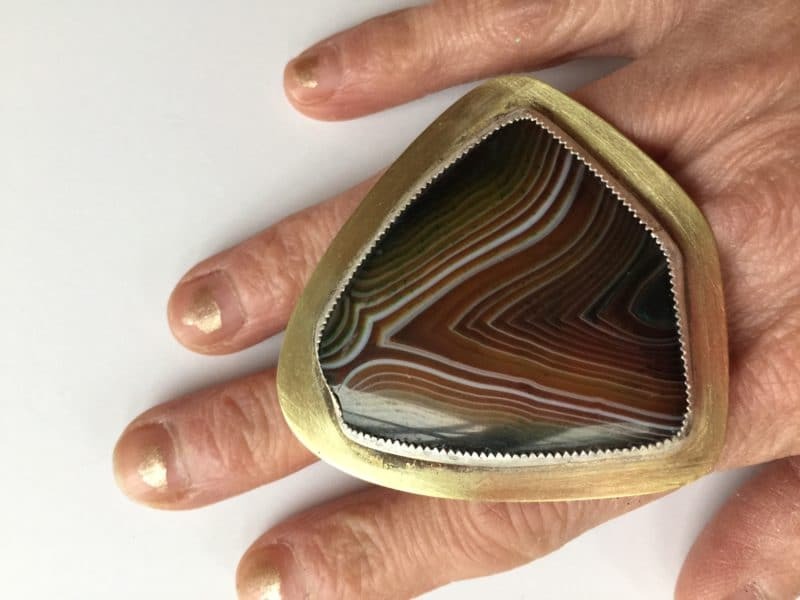 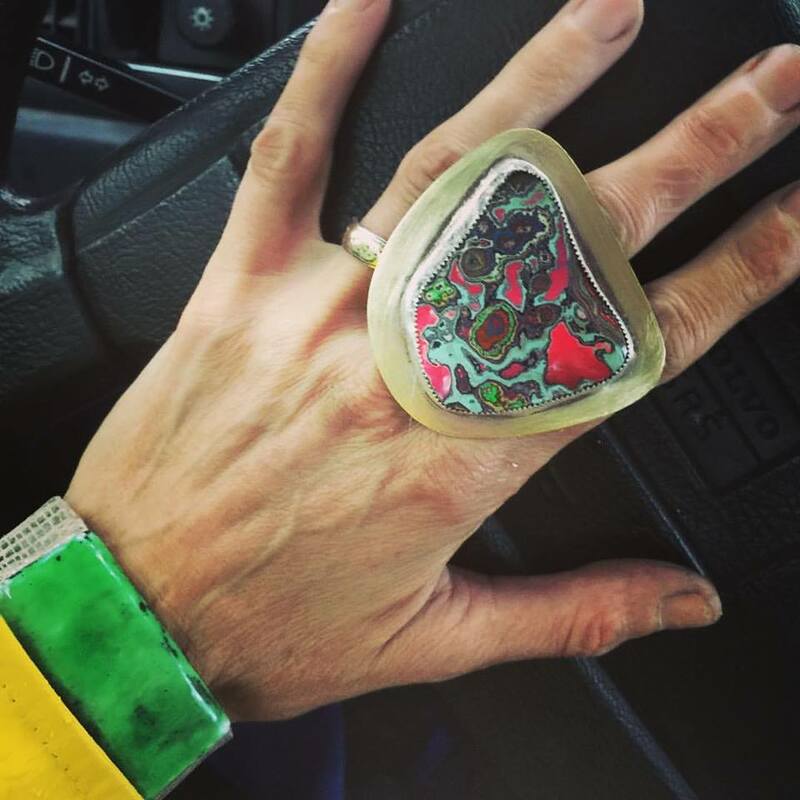 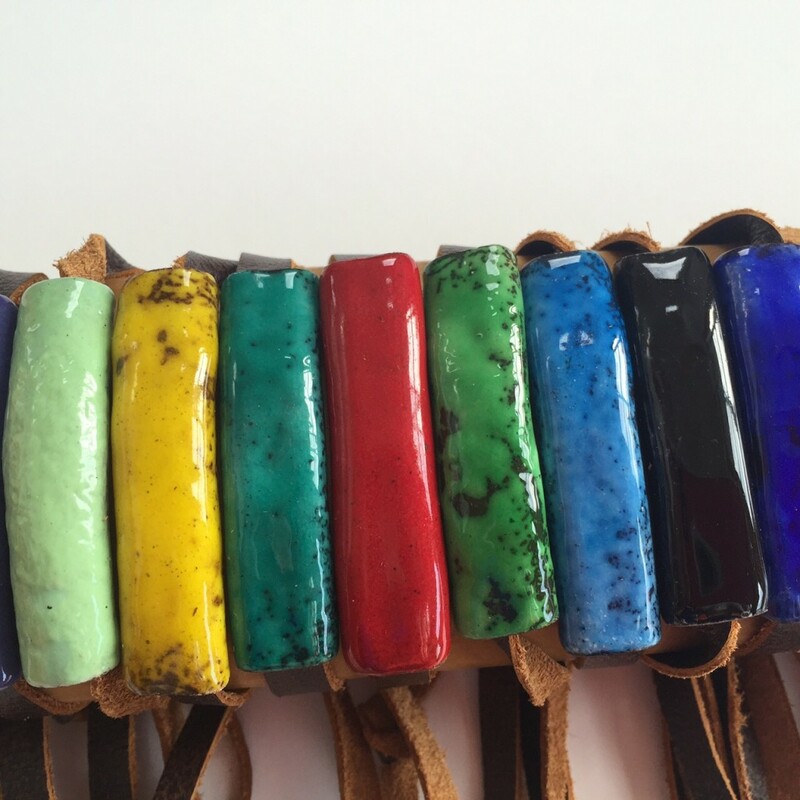 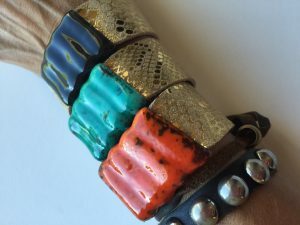 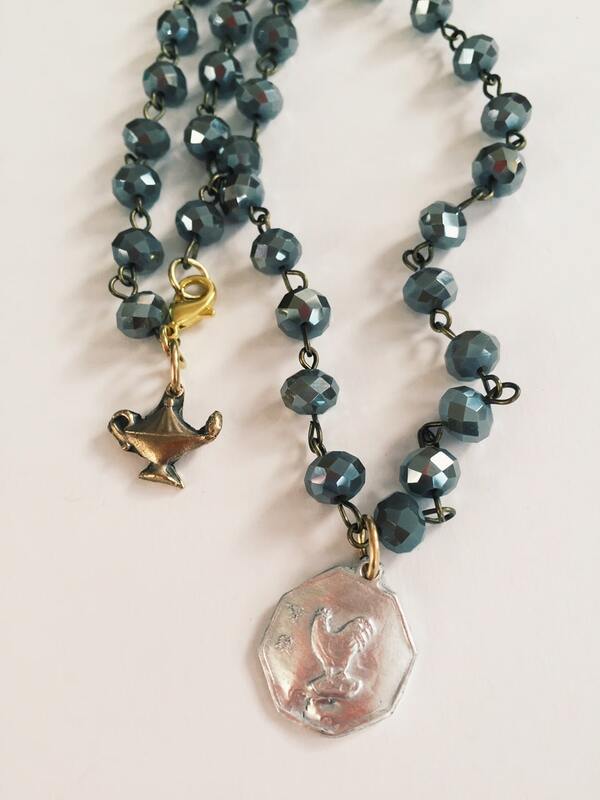 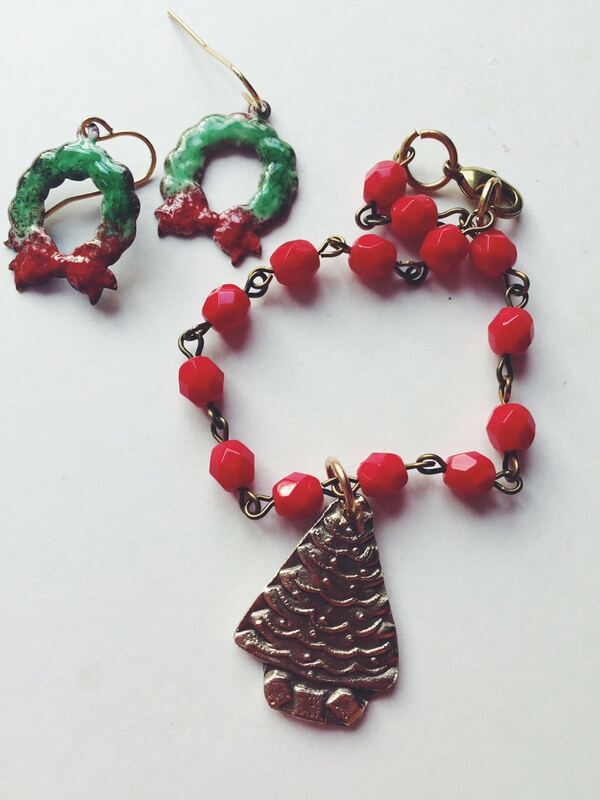 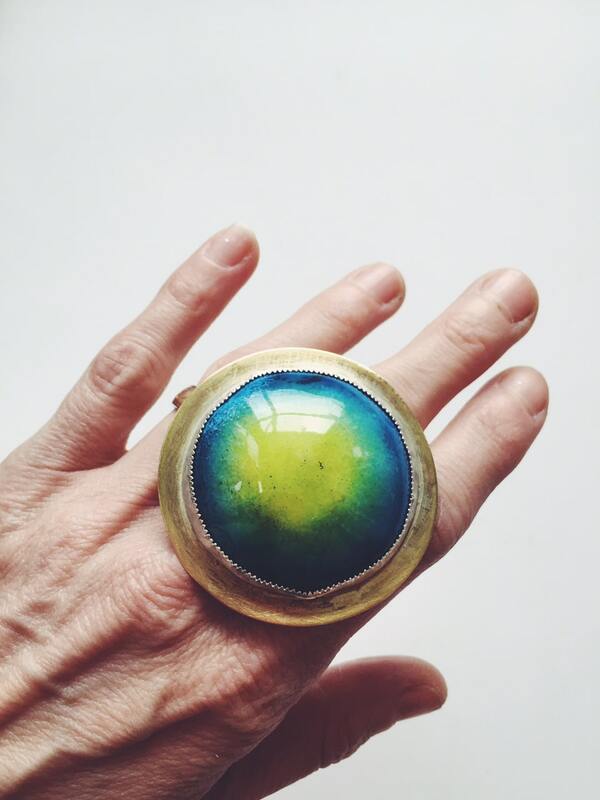 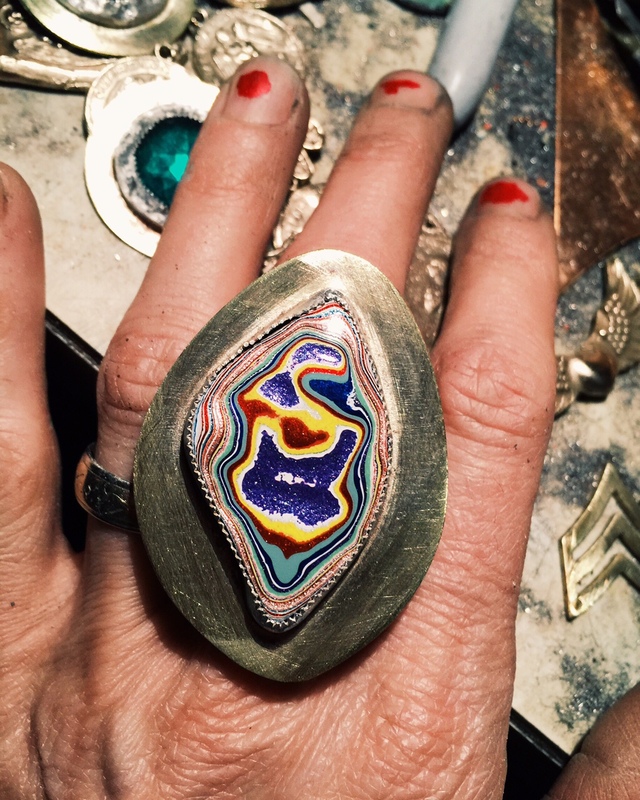 She went on to pursue her MFA in Metalsmithing from Syracuse University and combines her love of sculpture into wearable art jewelry. 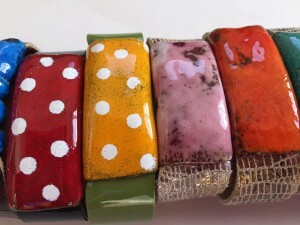 Her work has been featured in various magazines including W, Bridal Guide, Where Women Create, Tango, Syracuse Women’s Magazine, The Post Standard, as well as on NBC Today Show, Bridge Street, and Daily Candy. 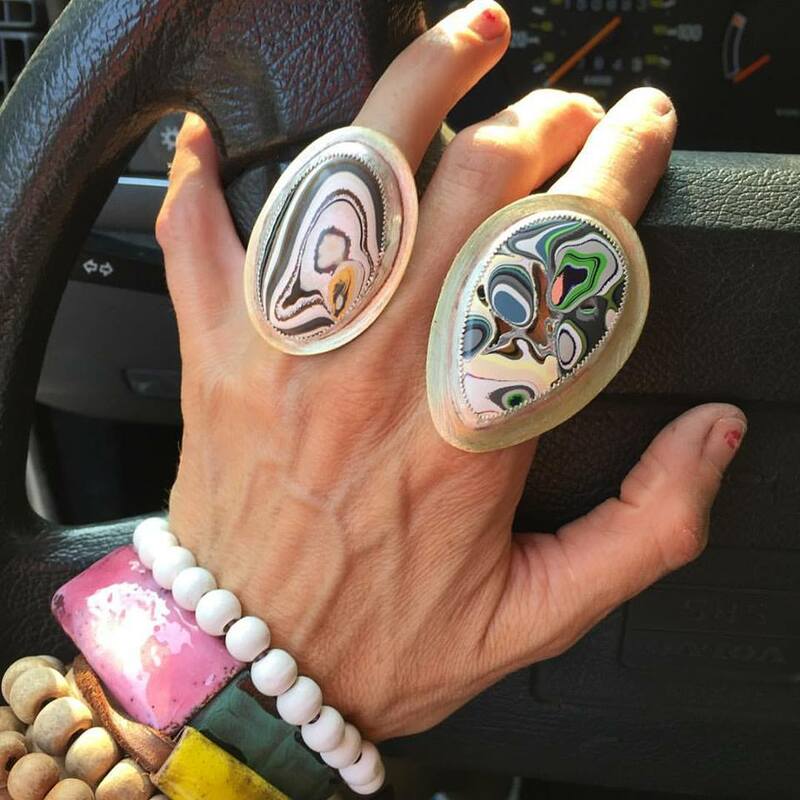 Her work is constantly evolving and reflects her passion for art, life and the creative process. Her studio is located in beautiful Upstate New York in a vintage 1964 Airstream Trailer on her 7 acres of inspiration with her family, two dogs, and a cat. All designs are protected under federal trademark laws.